I write this with extreme sleepiness with a dash of feeling sick. Interrupted sleep will do that to you, I suppose. Visiting the casino in Dragon Quest XI and playing past your bed time will also contribute to headaches! Especially when you watch your thousands of tokens get taken away by the poker table slimes. The slot machines are no better but Goolysses needs my help on is grand adventure! 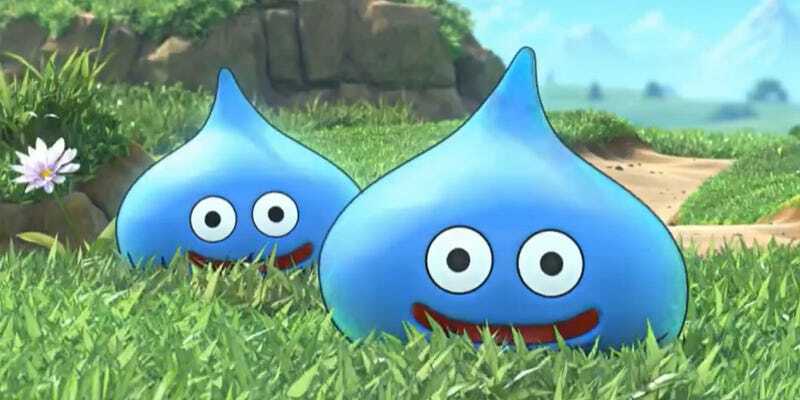 Ah, Dragon Quest. Your puns are glorious. But stop taking my money. Hoarding items is one thing but do you also hoard your video game money? Are you like me and rather wait to see if you find better equipment, or upgrade as soon as you get to a store? What’s the best thing you’ve spent your hard-earned video game cash on? Any good mini-games in a game you played lately? Feel free to Talk Amongst Yourselves! Don’t forget that the Discord Chatroomis always around too for continuing, real-time conversations. If you wanted to give an admin, author, and/or friend a shout to tell them you love them and appreciate their internet availability: You can find them on the DirecTAYry.